“This is Jecht (formerly known as Nemo). He’s been a part of our family for a week and a half, and already none of us could imagine life without him. We are all in better health from the walks and runs we take him on. He already tracks with us with great proficiency (although he gets annoyed with how slow and loud we are). He has made friends with all the dog friendly pups in the neighborhood, and even a couple that have never been dog friendly before. He has the perfect personality, friendly-gentle-playful-loving. Sleeps in four different beds every night, because he just can’t choose one of us. We never would have found him if not for your site, as he hails from Arkansas and we from New Hampshire. Thank you so much for all you do for all our four legged friends!!! You help bring them home, you help us find our perfect companions, no matter how far away they are. I can’t tell you how much Jecht means to my whole family!! !” — Jennifer A shared this Happy Beginnings story and photo with us on our Adopt-a-Pet.com Facebook page. 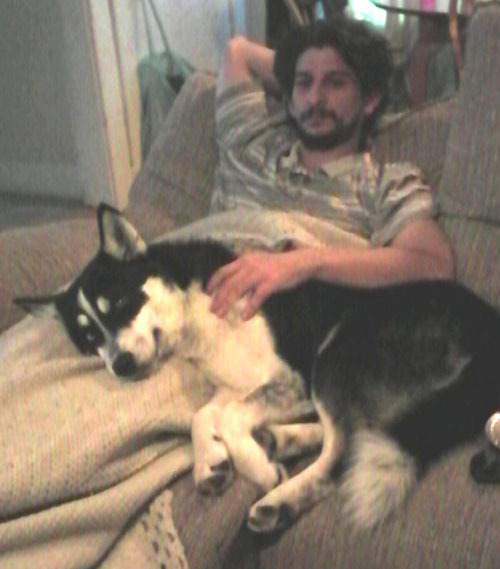 We love hearing stories about how Adopt-a-Pet.com helped a homeless pet find a new loving home. We’d love to hear your Happy Beginnings story too! Send your pet adoption story to info@cms.adoptapet.com with a photo or two, and tell us how Adopt-a-Pet.com helped you with your adoption. Thank you for adopting a pet and saving a life!